"Death Match Russell PodCast"! Ep #231 Live with Indy Pro Wrestler Mr Everything Victor Andrews! Tune in! 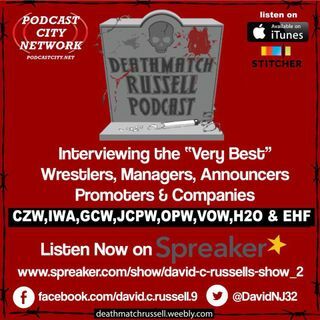 "Death Match Russell Podcast"! Ep #230 Live With ProWrestling Owner OfJR's Collectibles “Joe Russello”!Tune In!